Trust.zone is a VPN provider based in Seychelles, which is good news if you’re looking for a company with a jurisdiction in a pro-privacy country. They run circa 130 servers in 80 zones (check the map), support P2P and don’t cap your bandwidth or log your usage, allow up to three simultaneous connections, and have a no-risk free trial. Overall, Trust.zone performed relatively well in my tests, but the performance was inconsistent. Trust.zone offers a three-day free trial, and you don’t need to submit your payment information to get a hands-on experience with it. The free plan includes one connection, 1GB data, 109 servers, and the native software. Interestingly, a few days ago when I tested it, the free trial was only available through a Login link on the main page while the “Try It Free” offer would inevitably lead to a checkout with the paid plans only. It made it very hard to figure out how one is supposed to get the free trial. But at the time of writing, the pricing page layout appears with the limited time offer – the Free Test. Either things are very flexible at Trust.zone, or it was a usability flaw the provider fixed. Once the free trial is over, you can subscribe to their paid service. 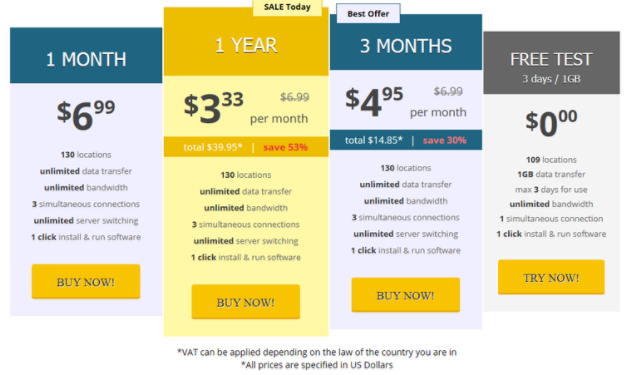 The monthly subscription will set you off $6.99, the price for three months is $14.85 while the annual plan is $39.95. The paid subscription gets you 130 servers, unlimited data transfer and bandwidth, support for P2P, great encryption, and three simultaneous connections. At this point, Trust.zone is one of the very affordable VPN services out there. All plans are covered with a 10-day money-back guarantee, and you can pay via credit cards, PayPal, Qiwi, WebMoney, wire transfers, Alipay, and cryptocurrency (in case you’ve been wondering what to do with your Bitcoins). Trust.zone offers support for an impressive array of platforms starting from the traditional Mac, Windows, Android, and iOS, to Linux, Ubuntu, DD-WRT, Xbox 360, Play Station, Smart TVs, and Amazon Fire Stick. They offer a native desktop client and instructions to set up their service relying on the open-source OpenVPN client. The Manual Setup instruction conveniently lists your VPN login and password, which are not the same you created during signup. You can also download your configuration files for OpenVPN, so when connecting via the open-source client, you will need the VPN login/pass combo. 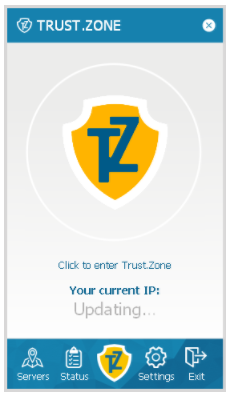 On the other hand, when you choose to download Trust.zone’s native desktop client, it comes with your credentials already baked in. So, you don’t even need to log in when you launch your VPN client. Even though there was no sign of trouble when I was setting up the service, it took me several hours just to get it to work, and I still have no idea why it wouldn’t connect at first, and why it decided to connect in the end. The OpenVPN solution would refuse to authenticate me, even though I was using the right login credentials, and a support agent confirmed I was using the correct combo. After four rounds of uninstalling and reinstalling their desktop app, it finally started working, and I was able to run my tests. In the meantime, I sent their support a desperate cry for help. There is no live chat, but they replied within 4 hours of my request with no explanation or suggestion whatsoever. Nor did they request the OpenVPN log file. Instead, they re-started my free trial, which was supposed to give me more free time. In reality, my free subscription turned out to be over even though I was only beginning my day 2 of the three-day trial. Thankfully, I was able to run the tests before they “fixed” my problem. The bottom line is – if it works, Trust.zone is a feasible solution, but when it doesn’t work, troubleshooting is a pain in the neck. The Trust.zone native app has a kill switch and a toggle to enable the DNS leak protection. You can also run the app on system startup, and check the current status of your subscription. The settings also let you choose the encryption protocol – from SSH, SCP, SFTP to FTP, HTTP, HTTPS, and OpenVPN. You can scroll through the servers and customize your list based on favorites or regions – that part is straightforward. Other than that, there are no advanced bells and whistles, while the user interface is fairly basic as such. 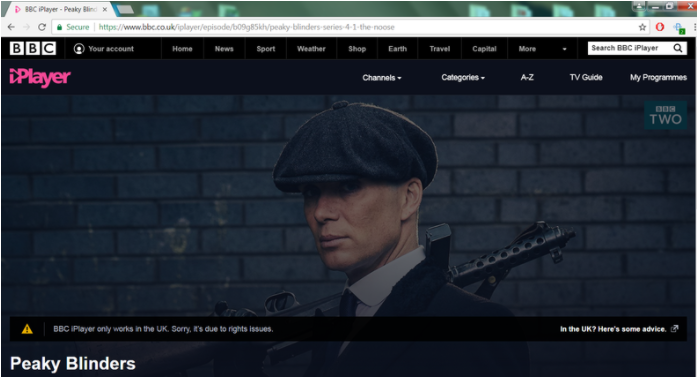 Unexpectedly, BBC iPLayer would continuously recognize I was connecting from a location outside the UK, and I never got to stream the latest in Peaky Blinders. 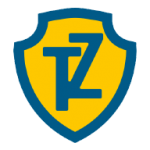 Trust.zone supports OpenVPN and AES-256 bit encryption and lets you choose from an array of less-secure protocols, but the currently golden standard of encrypted connections is available and backed by a kill switch and a DNS leak protection. So far, so good. The provider is registered in Seychelles, which is a pro-privacy region, and they accept anonymous payment methods like Bitcoin. As far as their logging policy is concerned, they keep your email but not the payment details. Trust.zone is a viable solution for average users, and when it works, it delivers. I am not happy with my free trial mostly due to the technical issues, which their support didn’t make any effort to solve. I do like their no-logs policy, no data throttling and support for P2P topped with very wallet-friendly plans. So, take the free trial for a fully-fledged field test before subscribing.